Two of Rochelle's coteachers invited us to join them in attending the Youhwa Muse Ensemble's 10th Regular Concert in Dongsong last night. 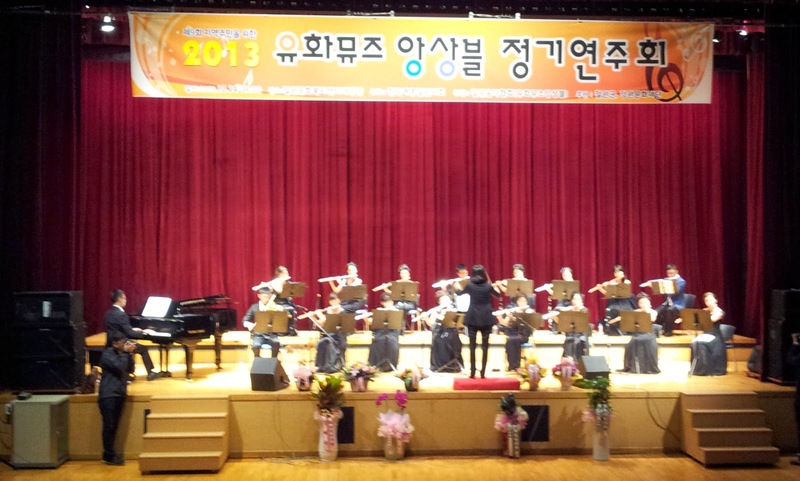 They played a total of 15 concise pieces from composers like Mozart, Vivaldi, Bach, and Handel. Also on the set list was the Korean folk anthem "Arirang," a song so good that the group reprised as an encore. 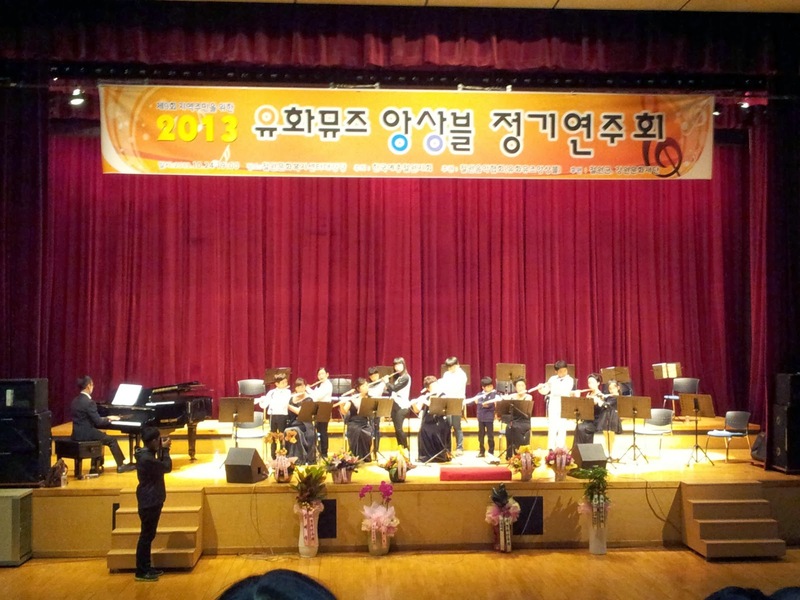 "Arirang" is a national treasure for Koreans; a song of hope and longing that has been played and sang for generations. Indeed, R and I enjoy the song as well. I don't know all of the words (yet), but the melody carries the mood well. We actually arrived quite early because of a misreading of the schedule, but that was fine. It gave us all time to chat and talk about our respective classes. It was also good that we arrived early because lots of people came to the concert. The concert was free for anyone in the area, too. What an excellent way to spend a Thursday night. Special thanks to her coteachers for the ride to the hall and the ride home to Wasu. It's events like this that make Cheorwon a great place to live. It may be rural, but it isn't lifeless!